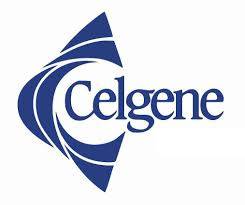 Celgene Corporation (NASDAQ:CELG), Regeneron Pharmaceuticals Inc (NASDAQ:REGN) and Alcoa Inc (NYSE:AA) are among the top stock picks from Jim Cramer in the last 30 days. He has mentioned each of these stocks at least three times in the last 30 days. Regeneron Pharmaceuticals Inc (NASDAQ:REGN) comes at number two in his list of favorite stock picks and he has mentioned it four times in the past 30 days. Cramer rated Regeneron Pharmaceuticals Inc (NASDAQ:REGN) second in his list of favorite stock picks. At the same time, he called it the perfect time to buy both Regeneron Pharmaceuticals Inc (NASDAQ:REGN) and Celgene. As per Cramer, Regeneron is likely to move up in the upcoming days. Alcoa Inc (NYSE:AA) comes at number three in Cramer’s favorite stock list and he mentioned it at least three different occasions. Cramer’s analysis of Alcoa Inc (NYSE:AA) started with comments, “This stock could be ready to break out. Longer term, this one goes higher.” His remarks about Alcoa after a week added, “I like Alcoa here. It’s gathering strength and I think it goes higher.” Cramer further added that investors could still buy Alcoa Inc (NYSE:AA) after its price appraisal of over 60% and he appreciated the CEO, Klaus Kleinfeld for securing contracts with both Ford (F) and Boeing (BA).